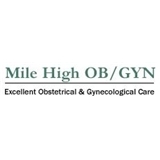 Mile High OB/GYN (Denver) - Book Appointment Online! Dr. Ring is my absolute favorite and I recommend her to anybody who is looking for an OB. I had never been to a gynecologist before and Dr. Berenbaum made everything so comfortable for me. She was very understanding and really took the time to get to know me. I will absolutely recommend her to everyone woman I know! Dr. Vanlandingham is so personable and always puts me at ease. I would highly recommended her to anyone who is apprehensive about OB/GYN visits.